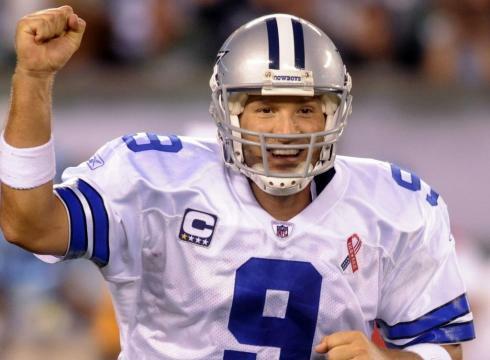 Did the Cowboys’ Restructuring of Tony Romo’s Contract Pave the Way for a Major Move? The Dallas Cowboys have reportedly restructured quarterback Tony Romo’s contract today to clear 12.8 million in cap space. Why is this move being made now rather than at the beginning of free agency so the Cowboys could have kept 2014 NFL rushing leader DeMarco Murray? My speculation is the Cowboys are looking to trade for Minnesota Vikings’ running back Adrian Peterson whose salary is slated to be 12.75 million this year. 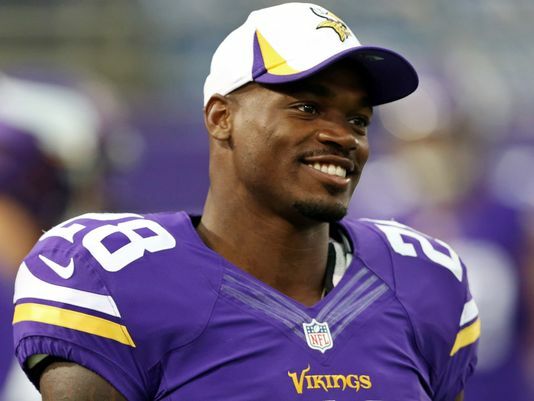 Peterson is unhappy in Minnesota and has sais he would take a pay cut to play for the Cowboys. How low Peterson is willing to go is still in question. The Cowboys have devalued the running back position with a high offer of only 6 million a year to Murray. However, Peterson is arguably the best back in the NFL when he isn’t suspended for hitting his son with a switch and missing all but one game of the 2014 season. He could possibly challenge the NFL rushing record in a season running behind the Cowboys’ dominant offensive line. If the Cowboys do trade for Peterson, look for them to make cornerback Brandon Carr a post June 1st cap casualty. Carr has not lived up to his 50 million plus free agent contract he signed in 2012. The Cowboys asked Carr to take a pay cut and he refused so it looks like his days in Big D are over. Romo stated yesterday he would have restructured his contract to keep Murray who he considered to be one of his best friends on the Cowboys. How will Romo feel if the Cowboys do trade for Peterson? With a back as talented as Peterson, I am not sure Romo would have much of a problem. Romo has maybe four years left where he can still play at a high level and wants to retire with at least one Super Bowl win to his credit. While he owns virtually every Cowboys’ passing record, Romo’s critics like to refer to his ability to choke under pressure. Would Peterson be that missing piece the Cowboys need to win their first Super Bowl since 1996? Whether the Cowboys are clearing cap space for Peterson or not, owner Jerry Jones and his son Stephen must have something brewing since they were going to wait to restructure Romo’s money once free agent defensive end Greg Hardy hit his game incentives. « Did the Cowboys’ Restructuring of Tony Romo’s Contract Pave the Way for a Major Move?